Christy and Boyd had an interesting first date. 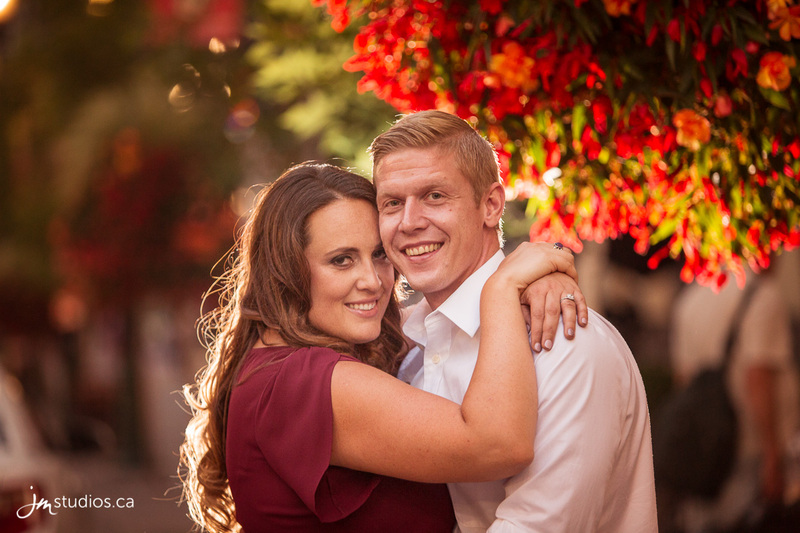 Three years ago, Devon, a friend of Christy’s from her basketball league, wanted to set her up with his friend Boyd. She agreed to it, and the plan was set in motion. Boyd didn’t know he was on a date, as it was framed as a group hangout, starting with drinks and dinner and ending at the cinema. For Christy, it was a chance to observe and get to know him. This would avoid any awkwardness, in case the chemistry wasn’t there. Boyd says that in true ‘Boyd’ fashion, he was late. Then, he had the confidence to ask the server to give him the next meal that came up, regardless of what it was, so he could be on par with the rest of the table. Of course, she said no, but it was a funny moment, showcasing Boyd’s bold and mischief side. He and Christy then talked over drinks, discovering they are both from small towns, she from Saskatchewan and he from rural Alberta. They found themselves sensing a spark over dinner. At the theatre, he waited for her at the end of the row, strategically positioning himself in line so he could sit next to her. 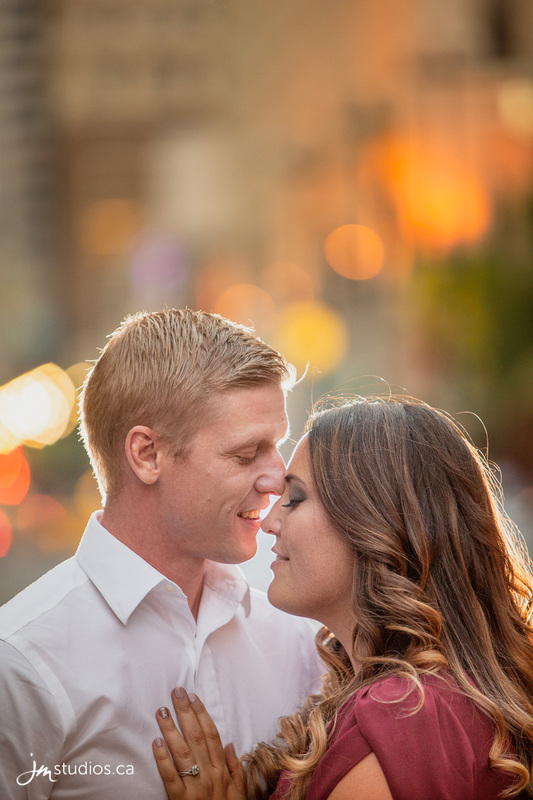 Even though he didn’t know he was being set up, he still gravitated toward Christy. They shouldn’t have worried. The chemistry was there. 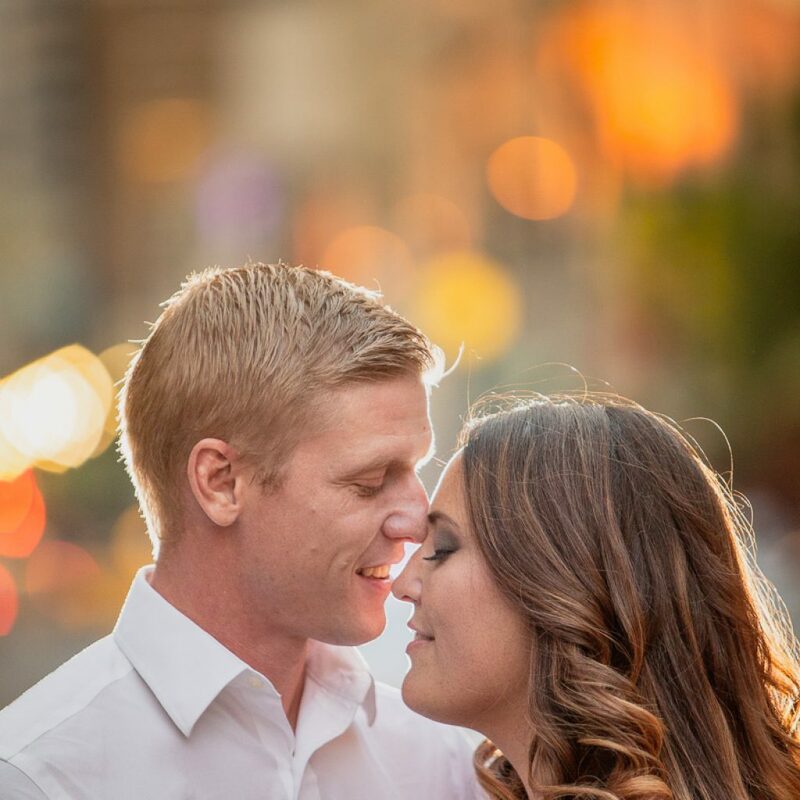 After the date, Christy gave Devon the go-ahead to share her info with Boyd, and they quickly went on a few dates. 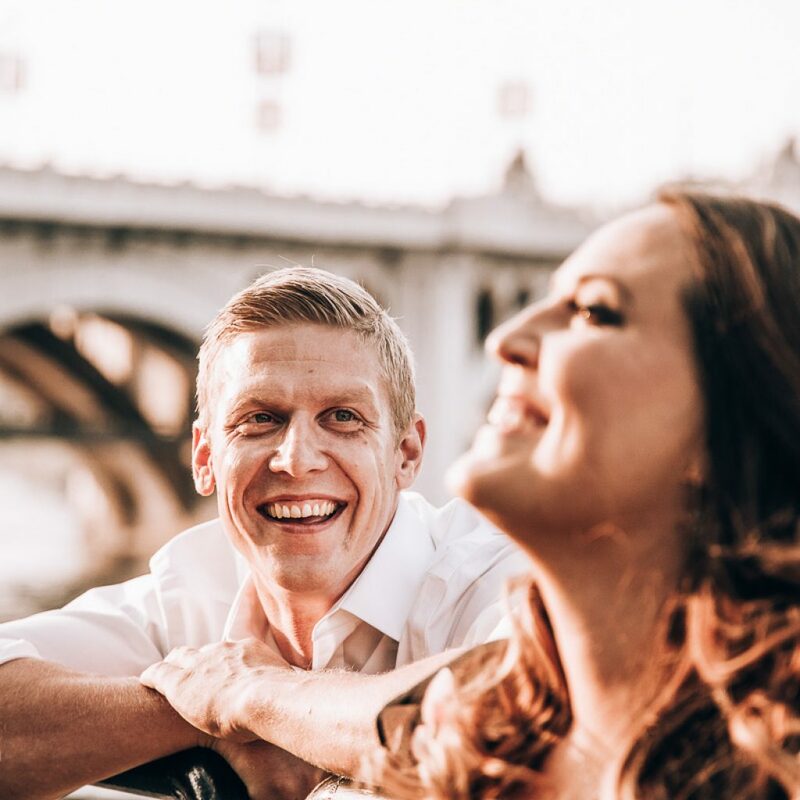 Once they’d been out two or three times, Devon finally let Boyd in on the secret: that he was the mastermind behind their first “date.” Devon has since decided to hang up his match-making shoes to retain his perfect one-to-one record. 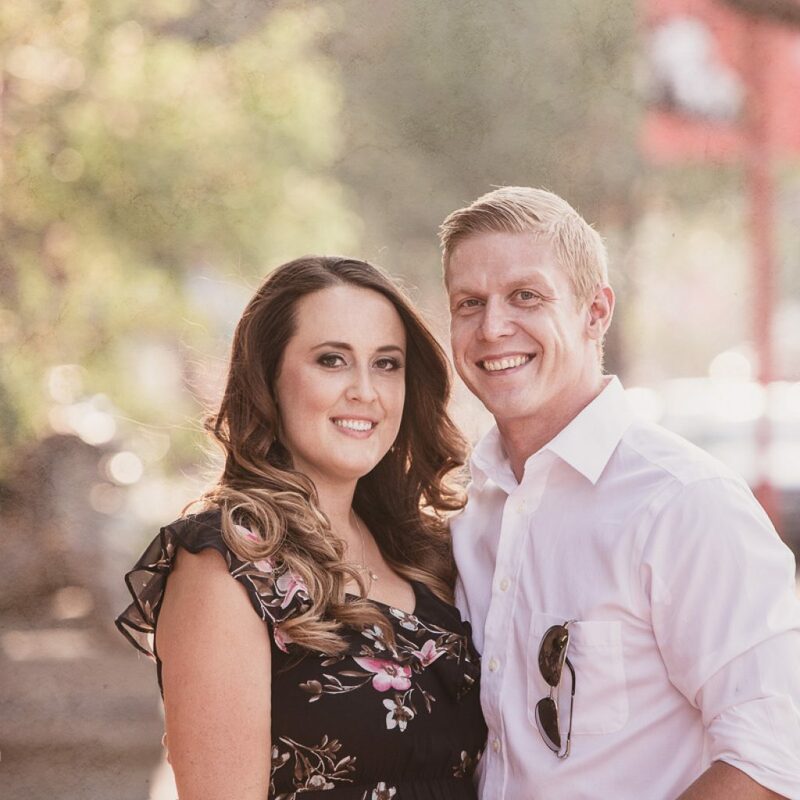 After three years together, they were ready to take the next step. 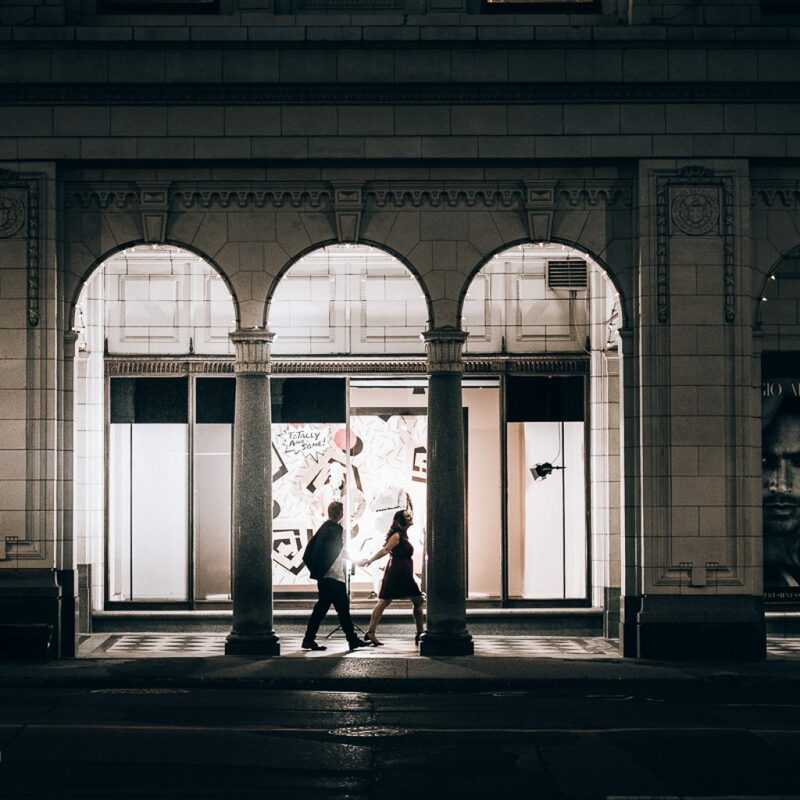 Boyd had a plan to proposed atop the Bow building overlooking the city of Calgary. 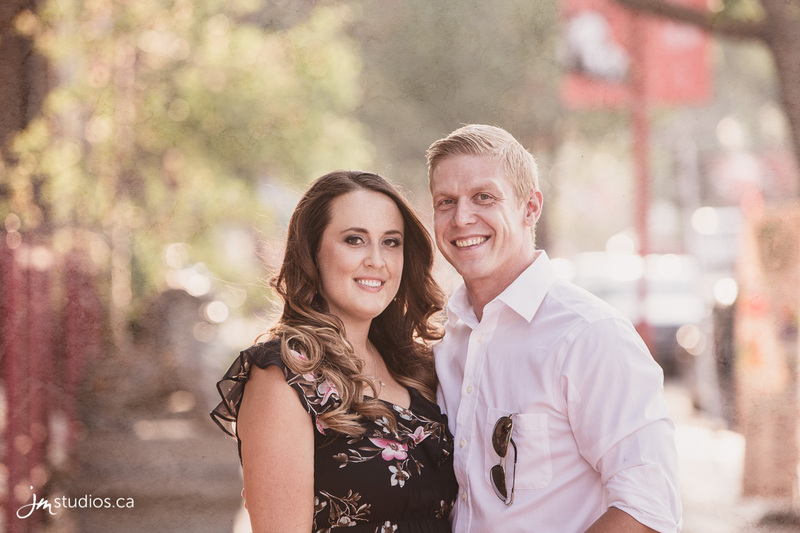 After googling engagement sessions, he came across a photo we had taken at the Bow during Kim and Lance’s session in April of 2017. 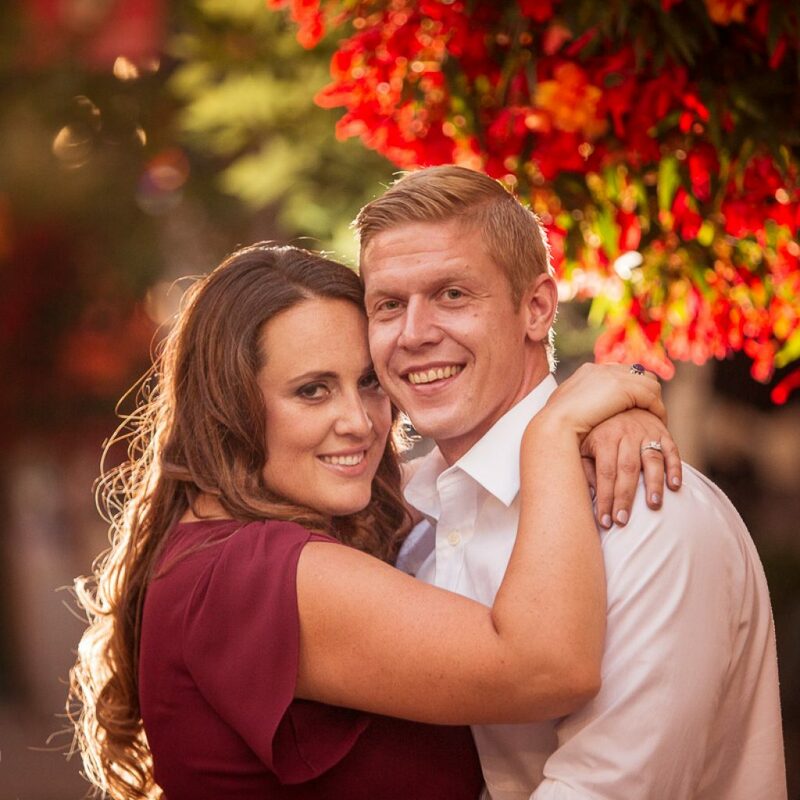 If you would like to check out the photos we found just click on Kim and Lance’s names above! 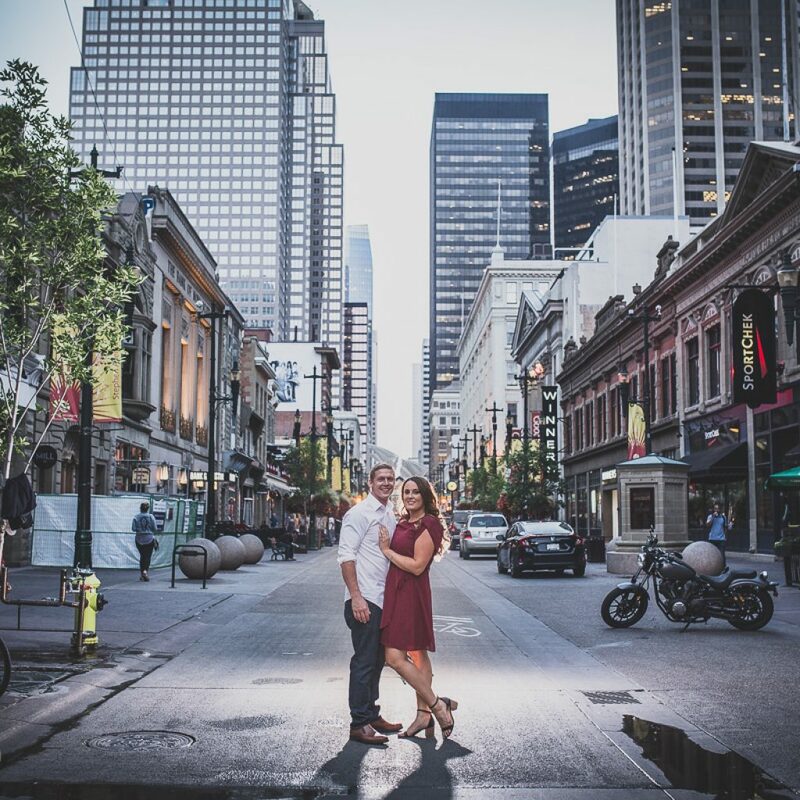 So Boyd reached out to us, inquiring how one could access the roof of the Bow for a proposal. 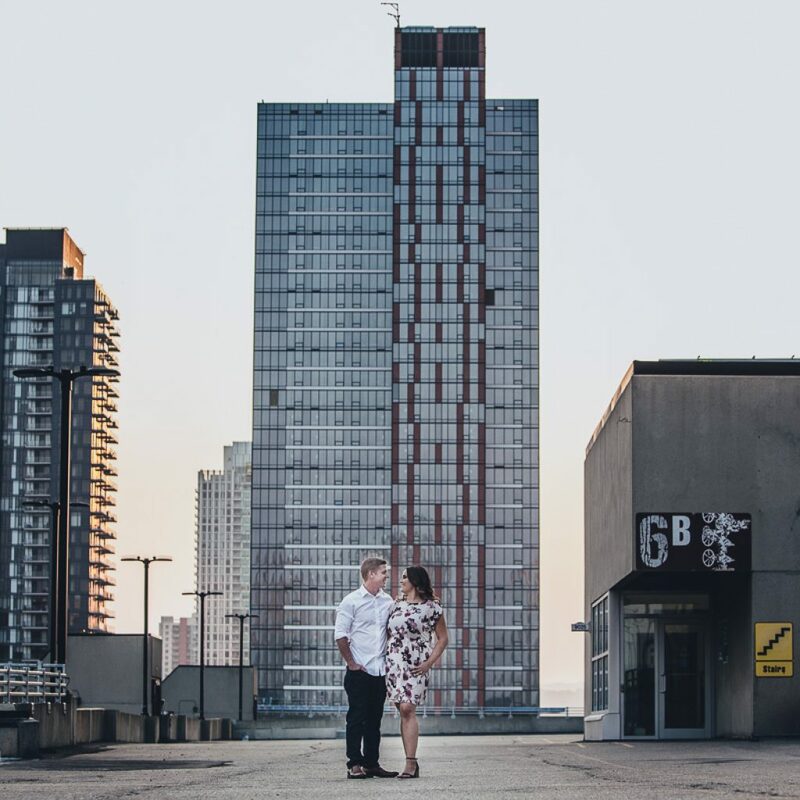 However, it isn’t the easiest rooftop to access, so we suggested the nearby Calgary Marriott Downtown, where a contact of ours (Glen McKenzie the Sr. Sales Manager) could help in his plan. 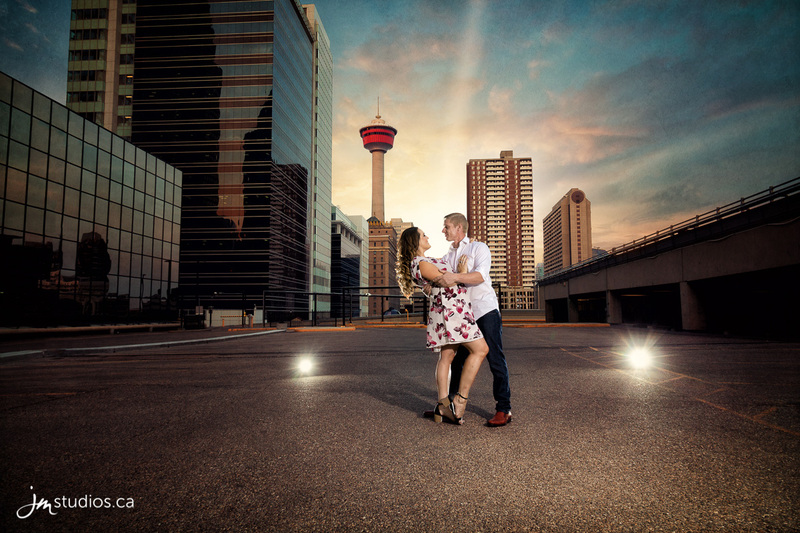 So, on the roof of the Marriott Downtown, overlooking the sparkling city of Calgary, Boyd was ready. 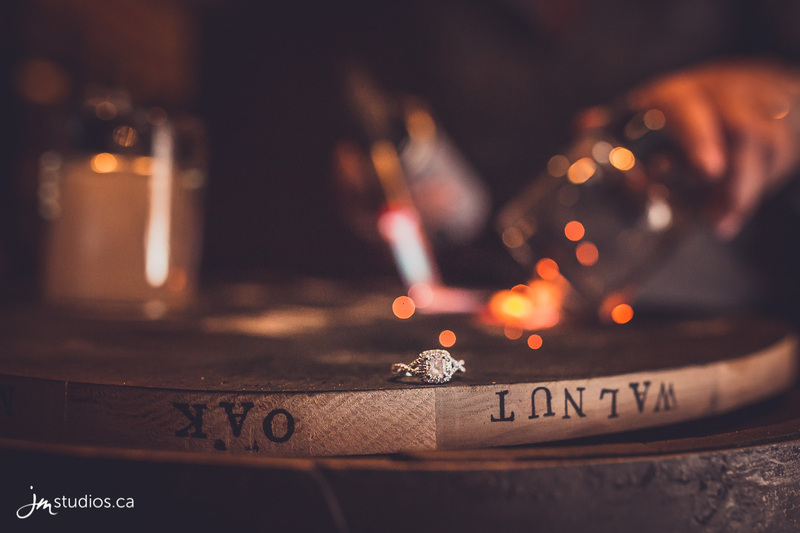 He set his iPhone in the corner to capture the moment, dropped to one knee, and proposed to Christy. A few days later, he texted us a photograph from the moment. 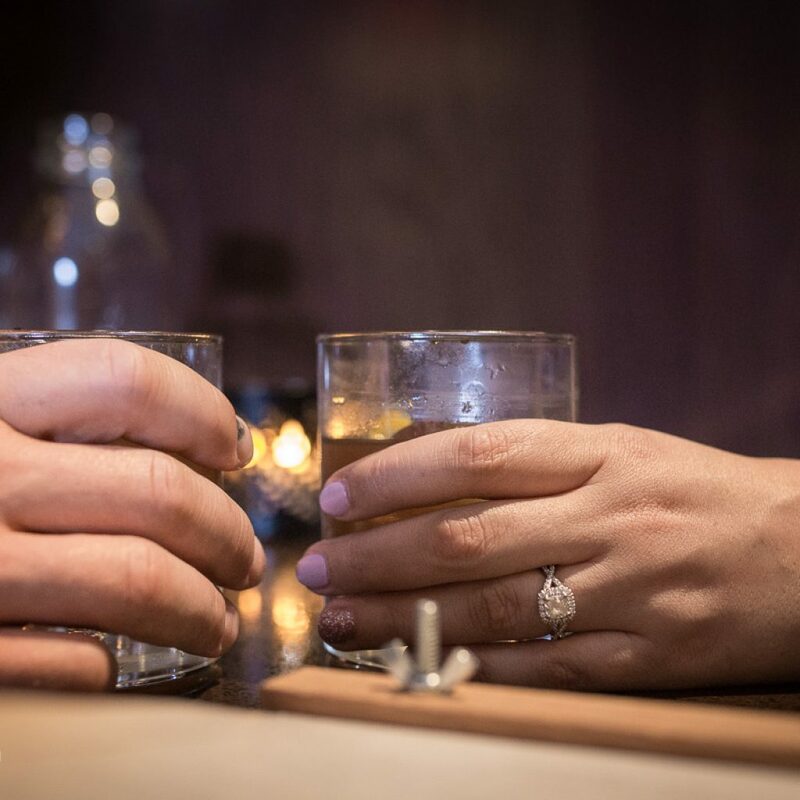 The proposal was a success! 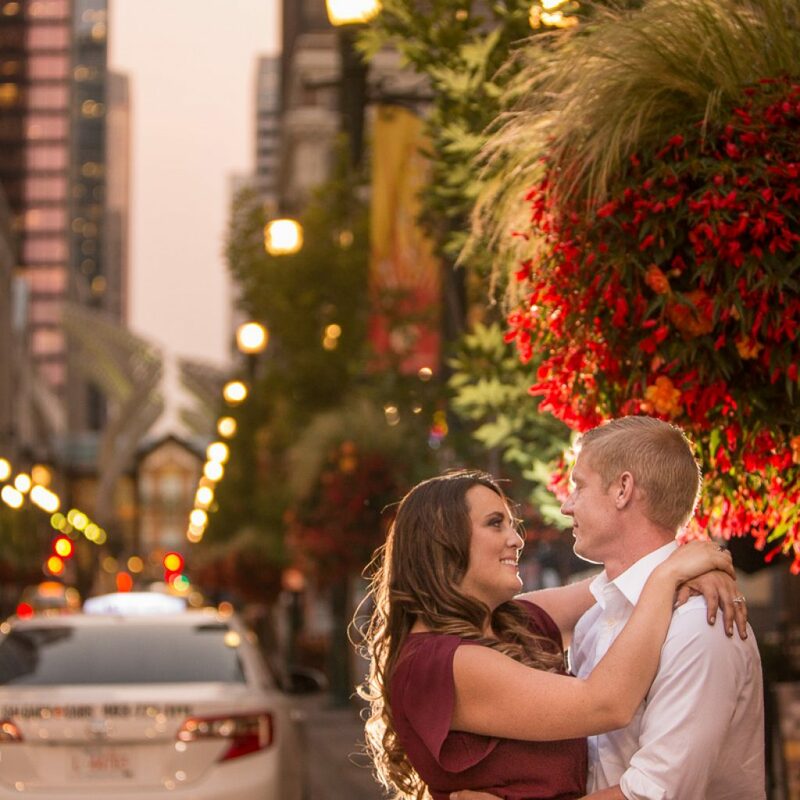 We held Christy and Boyd’s engagement session in Calgary’s Downtown core, on a gorgeous August evening. Beginning at the base of Chinatown at the Bow River, we wandered around the neighbourhood. 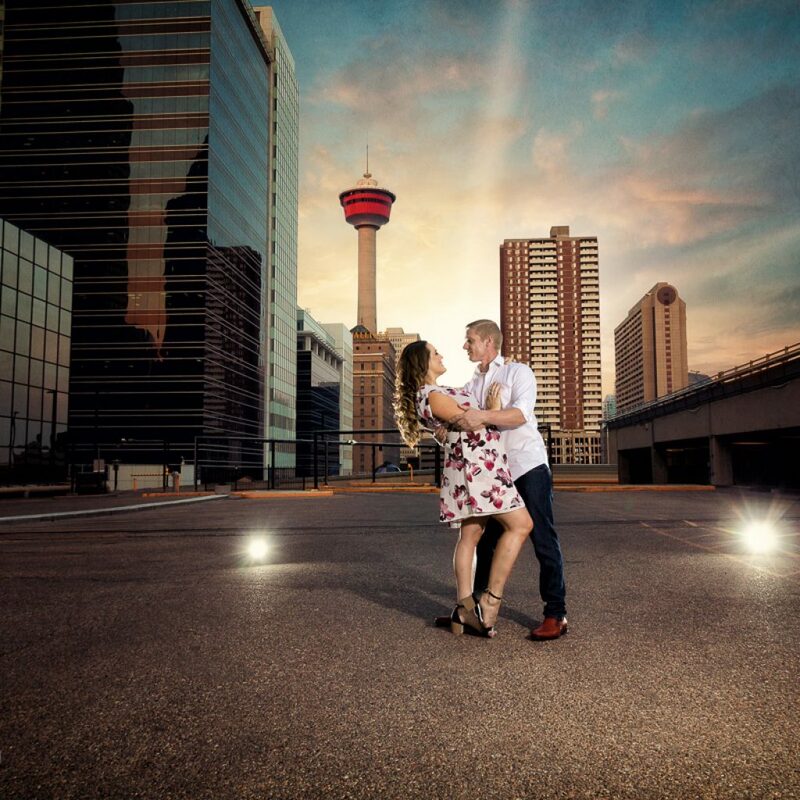 Along the Bow, we were treated to beautiful views of the historic Centre Street Bridge in the heart of the city. 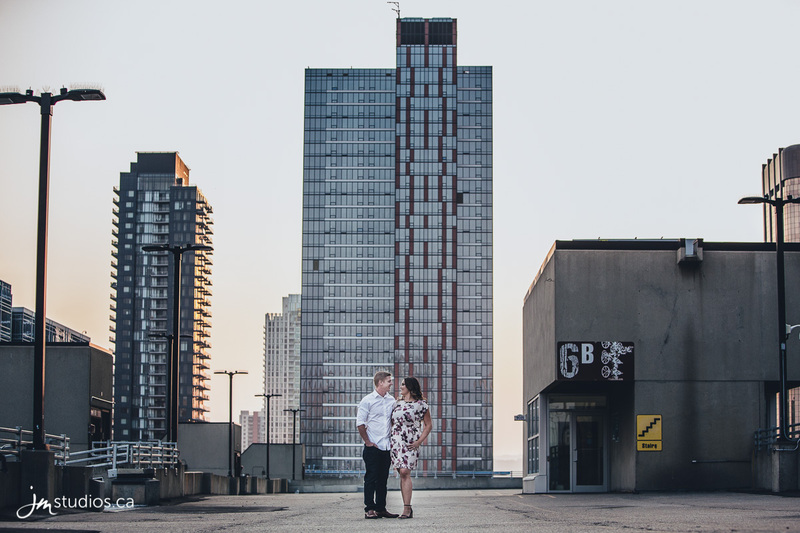 After strolling along the river, we moved into the 9th avenue parking garage across from National on 10th and Craft Beer Market. 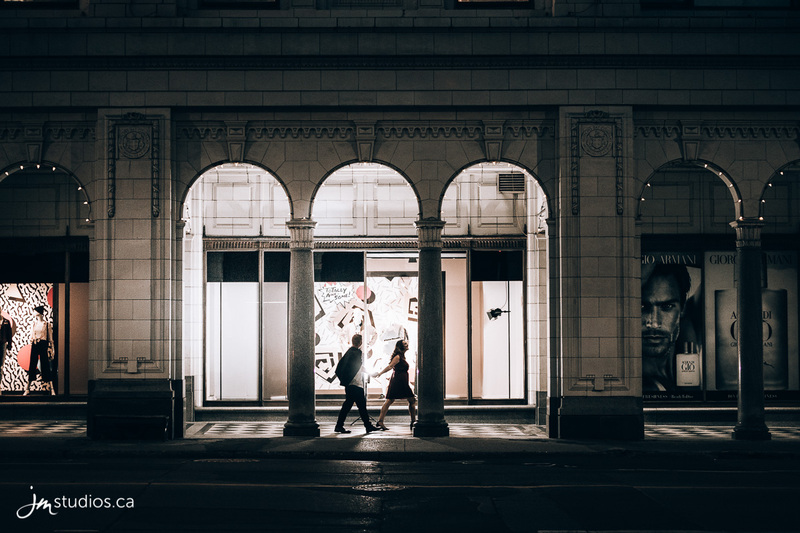 The parking garage, currently under construction, is rich with open areas and few cars, giving ample opportunity to shoot some epic images in the core of the city. There were a few people up there when we arrived, enjoying the docile peace of the sunset. 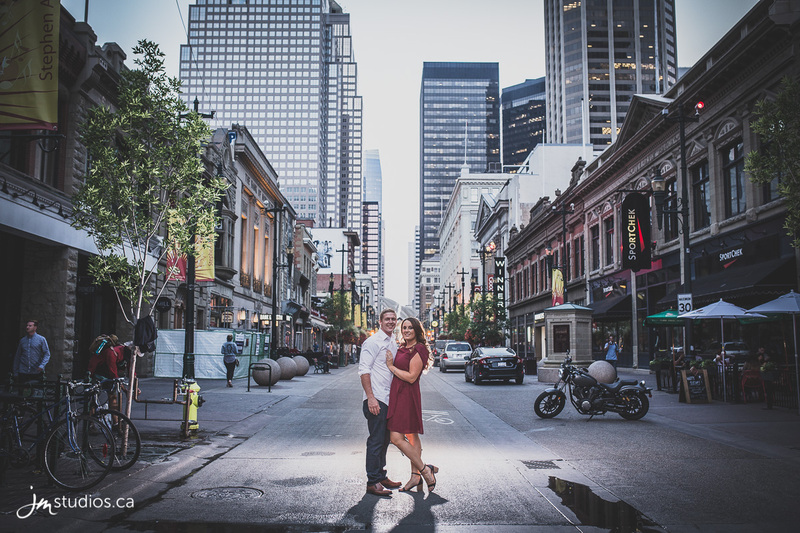 We sidled up to the edge of the building, photographing Christy and Boyd against the backdrop of Banker’s Hall and the Calgary Tower. 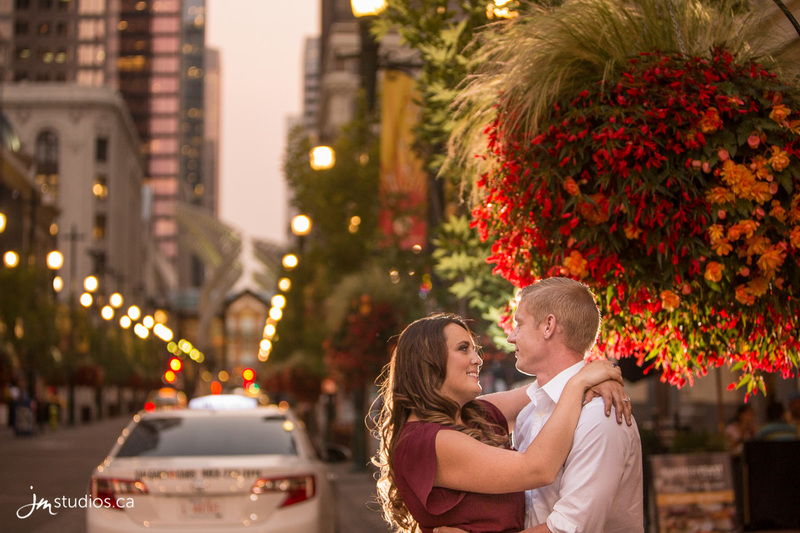 We climbed down from the parkade and walked over to Stephen Avenue, near the Marriott where they were engaged. Along the avenue, we used the pedestrian-friendly street to create a luscious backdrop of vibrant fall colours and warm lights along the promenade. We stopped under the popular arched gallery at The Bay. 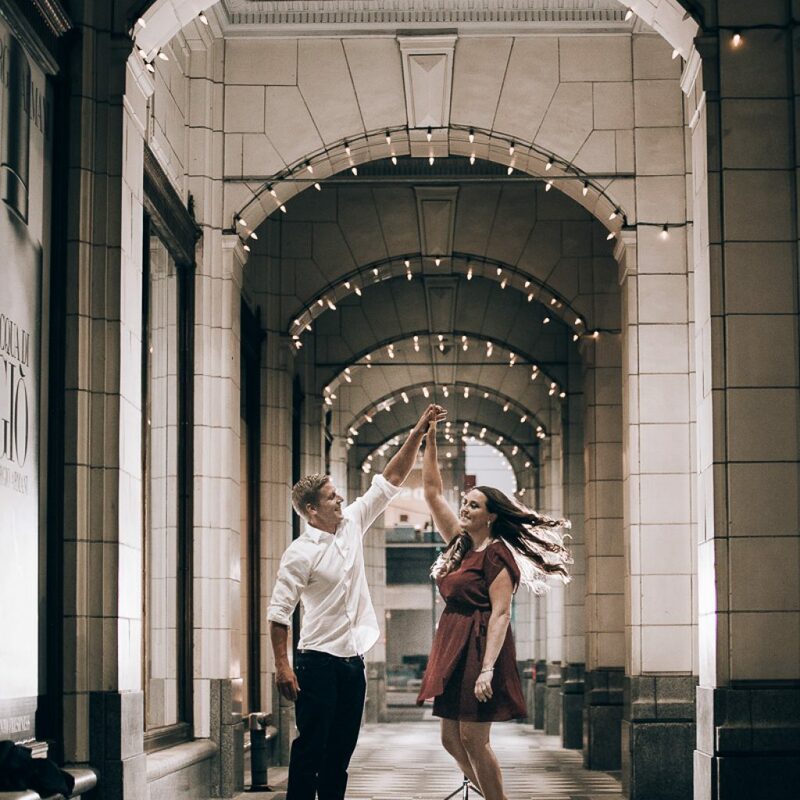 The wide columned archways and black and white tile floors allowed us to play around with lighting and get some great shots of the happy couple dancing together. 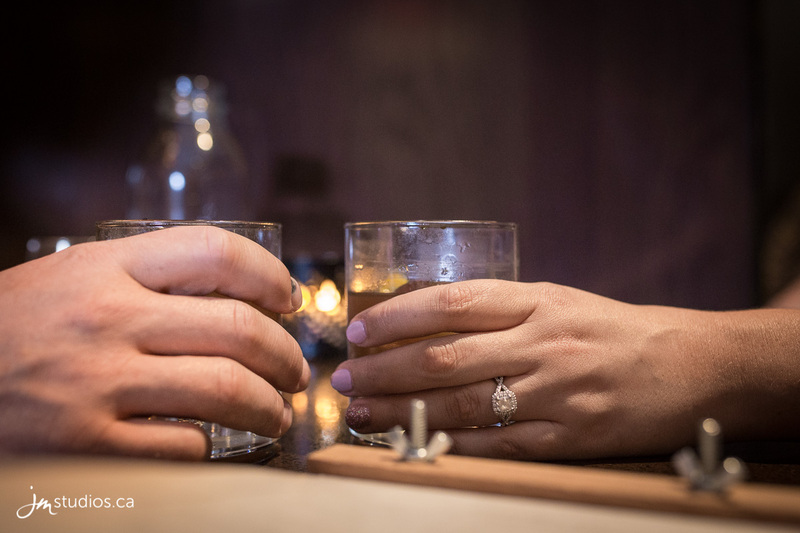 To round out the session, we entered One18 Empire, one of the finest whisk(e)y bars in Alberta, with a fantastic selection of whisk(e)y, rye, bourbon, and scotches from around the globe. 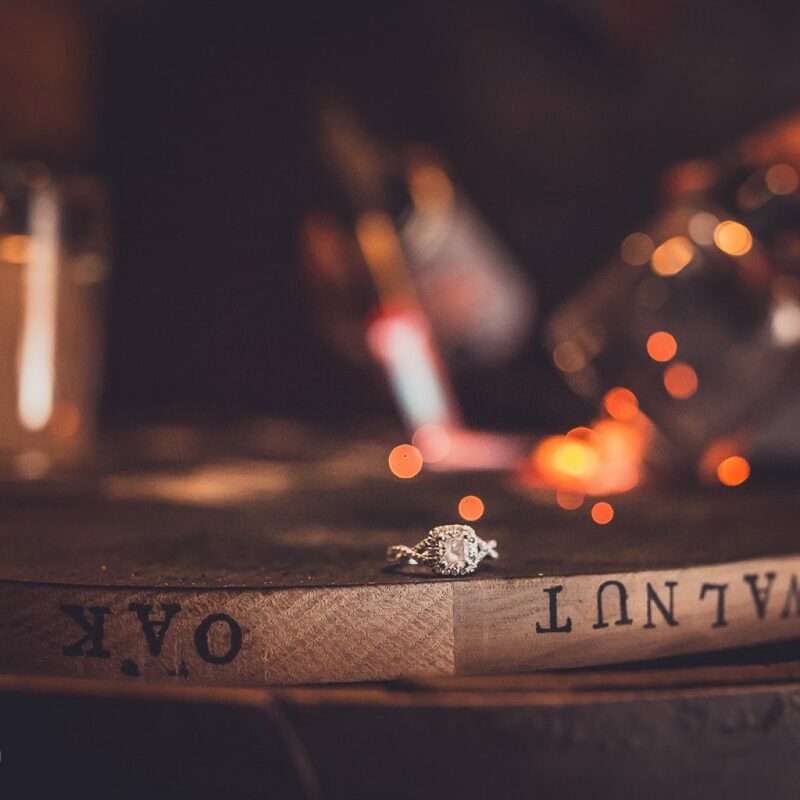 We photographed Christy’s gorgeous engagement ring on the cocktail menus, amongst the glassware, and in the forefront, as the talented bartender scorched walnut oak for the cocktails, creating great red sparks like a forge in the background. We wrapped up with Christy and Boyd over drinks, and cocktails in hand, they shared a kiss over the table. 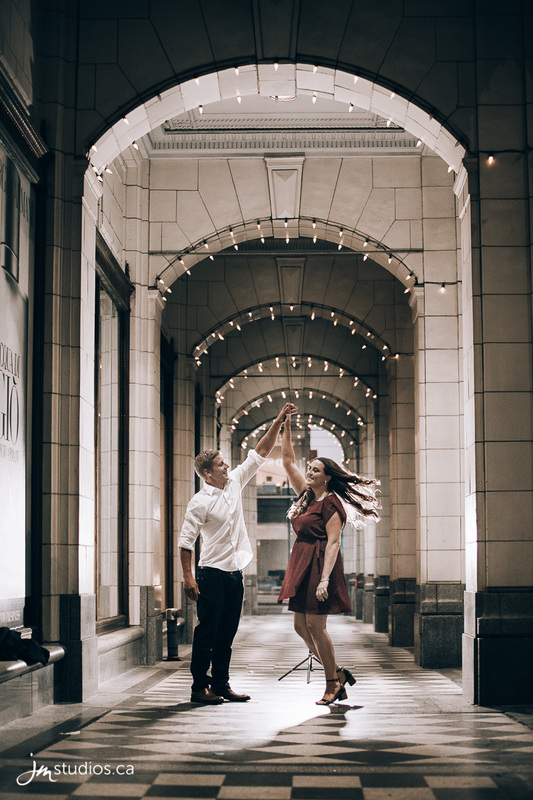 After an excellent day downtown, we left them to continue their date!